Mark L Ryan Solicitor is a law firm based in Ashton-under-Lyne, Greater Manchester. Mark L Ryan Solicitor guarantees that all clients of the firm will receive a personal service that is tailored to their individual needs. Mark prides himself on being able to explain anything to a client in a language that they understand. 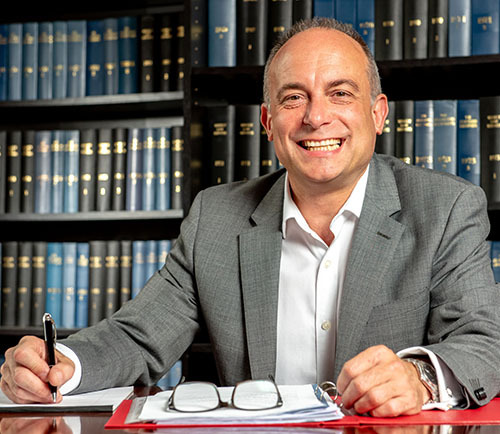 Mark trained as a solicitor ‘the old-fashioned way’ and with over 25 years of experience, has encountered all manner of legal issues. In those years he has been extremely successful in every aspect of his career; indeed, Mark has been a partner at law firms since 1995 and has been either a managing partner or sole principal since 1998. Mark L Ryan Solicitor was set up in 2010 and has a growing client base. Mark is a safe pair of hands for everyone from individuals to businesses. I was totally out of my depth after the death of my fiancee. in 2010. Mark took as much control as I wanted him to (because I wanted to be involved too). Mark completely sorted all the legal probate requirements without any hassle or problems at all. No matter what your legal conundrum may be, speak with Mark, the first solicitor I’ve ever met who who calls a spade a spade! The service I received was excellent. Mark Ryan made it so easy for me. He is always willing to help when asked, he is the nicest Solicitor I have ever had contact with and I would definitely recommend him to others without a second thought. Mark Ryan has given me legal advice regarding a number of issues for over 5 years. I would certainly recommend him, and have done so to friends and colleagues. His advice is well considered and he is very efficient. I cannot praise him highly enough. Mark L Ryan Solicitors Copyright 2018.